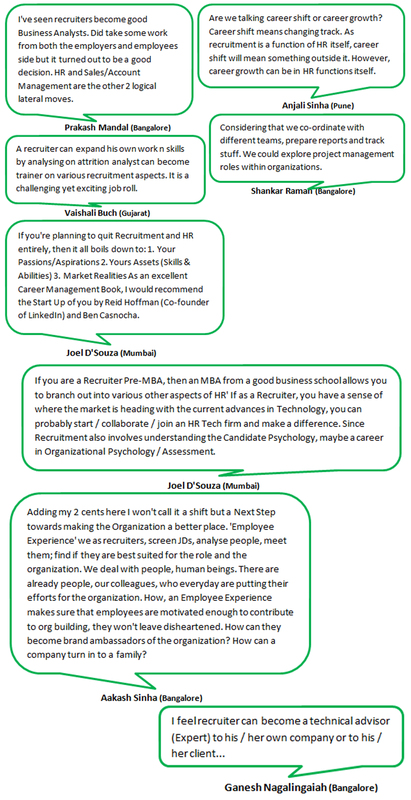 The Talent Acquisition sphere is slowly moving towards Artificial Intelligence and incorporating Popular AI Tools Used for Recruitment in processes like Candidate Screening, Sourcing for potential candidates from a pool of talent database already maintained in an Applicant Tracing System (ATS) or via analysis of the Candidates Social Media activity with the help of Chatbots. The discussion above disclosed ends here so we hope you’ve enjoyed reviewing it and have even added to your learning. If you’ve found the inputs shared insightful then you’d might want to start implementing them if you haven’t already and speed up your recruitment processes to be more efficient in the tasks allotted. Having said that, we’re sure you’d like to know more about the Best Unique HR Practices Followed by Organisations. We’re certain that you’d be more interested in being an active learner rather than a passive one because let’s face it you learn more as an active one. Therefore if you’re wondering how you can participate then here’s what you can do in 2 simple steps, i.e. There has been a long standing debate about the Best Practices in Candidate Compensation amongst Talent Acquisitionists and Employers alike. 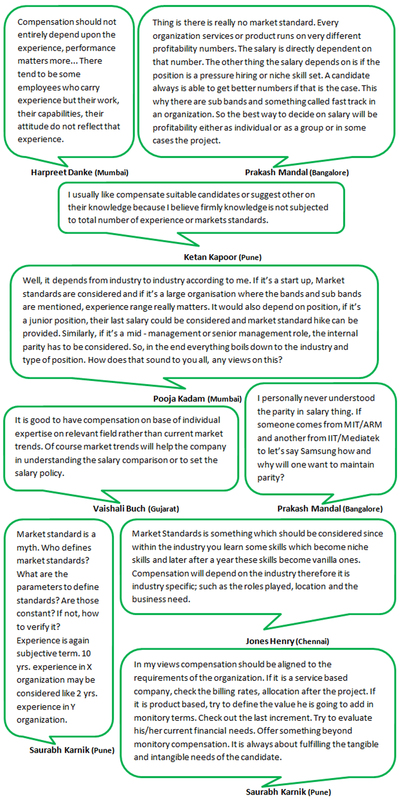 Whether to compensate them based on their experience or to adopt the market standards instead; has always been the dilemma. In an attempt to try to resolve this dilemma we @SourcingAdda conduct discussions to shed some light on such topics. There you go you’ve got the entire chat for your reference to review and swift through the information shared to retain what you’d need. Now that you’ve gone through the information shared you can then make an informed decision as to the basis of how a Candidate’s compensation can be done. Once you have all the information you can then form a compensation band that works for your organisation. 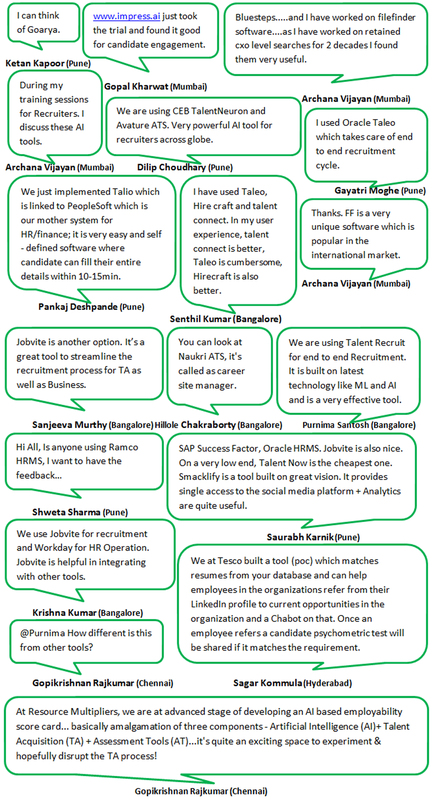 The talk of Artificial Intelligence (AI), Machine Learning (ML), Designing Thinking (DT), Automation, Big Data, Analytics and bots has been going viral and is now trending in the Recruitment Sphere. While it’s interesting and fun we also need to realise that these changes directly impact us as Talent Acquisitionist. What it means is we need to prepare ourselves right now as the job market may change with various manual tasks becoming automated. Well this brings our discussion to an end with inputs for you to review and make your own preparations for the future. If you’ve found these inputs insightful then you’ll want to know more about safe guarding current & future business Consultants prospects. If you’ve decided to be an active learner then here are 2 simple things you can do right now, i.e.